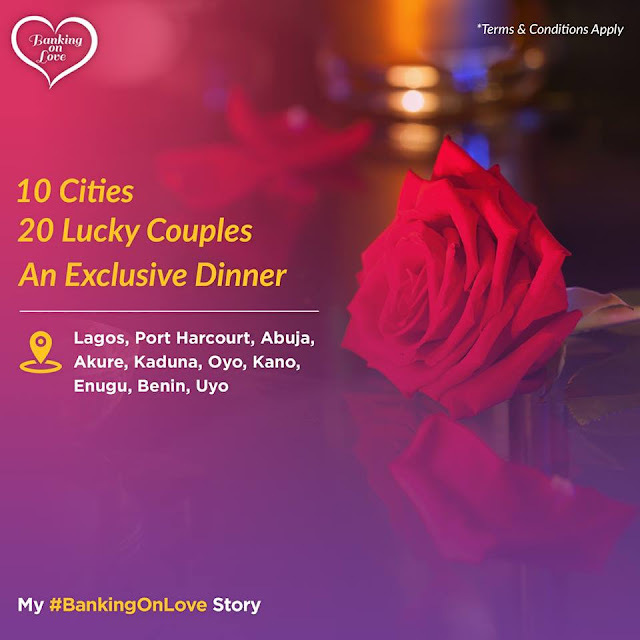 For #BankingOnLove, 20 lucky couples will be rewarded with an exclusive Valentine's Day dinner at any of 10 selected cities nationwide, all on us. 1) Record a 15-second video telling us which FCMB service makes you feel loved. 2) Upload your video to your personal social page using the hashtag #BankingOnLove. 3) Get your friends to Like and Share your video. Entries with the highest Likes win.